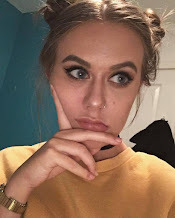 After not spending any money on beauty for a good 6 weeks, Megan and I went to Bicester Outlet Village for her birthday and had a little spend up, and both came out with bags full of bargains. I also popped to my local ASDA and got some clearance and roll back items so I thought they would be included too. The first thing I got in the CCO was the Bumble and Bumble Classic Hairspray for £7.50. This isn't the largest size but as I am going away soon I thought it'd be more appropriate. I haven't tried anything from the brand prior to this and I'm pretty excited. I must say, the scent is a bit odd, but I'll post a full review shortly. After running out of my DHC cleansing oil a while ago I noticed my skin was falling back into its bad habits and when I stumbled across the Origins Clean Energy Gentle Cleansing Oil for £15.75 I instantly took it to the till. It is a pretty large bottle might I add, so this will be lasting me for quite some time I predict. I was also running low of my current Kiko Natural Concealer that I use to brighten the under eyes, so when I saw a Bobbi Brown Tinted Eye Brightener for £13.75 I instantly picked one up, as did Megan. On first impressions I do really like this. I also got the Smashbox Limitless 15 Hour Wear Cream Shadow in Gemstone for £10.50 on Megan's recommendation and it honestly does last such a long time. 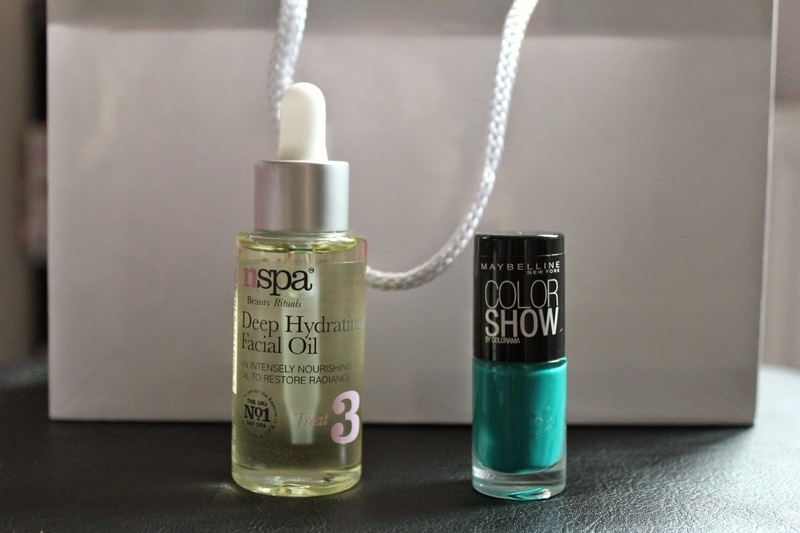 From ASDA I saw the NSpa Deep Hydrating Facial Oil for a mere £5 and thought I would give it a go. To be 100% honest, I was sold by the pipette bottle (such a child), but I am looking forward to getting some hydration going on. I also found a Maybelline Colour Show nail polish in Urban Turquoise for £1.87 in the clearance and I have it on now, and I am so impressed. It was opaque in 1-2 coats, dried almost instantly and is such a unique colour in my collection. I have added more of the range to my wishlist already. Oops, so many purchases. Might I add, I am thinking of getting some Nike Free Runs or Roshe Runs (have you tried them? Let me know your opinions), after seeing Anna style them so well countless times and I think I will be able to get a children's size saving me some money... the joys of tiny feet. I've been wanting to try Origins for ages. Their products look so good. I have too many of their skincare products on my wish list!